Michael has welcomed the extra funding for Kent announced today by the Communities Secretary Sajid Javid. 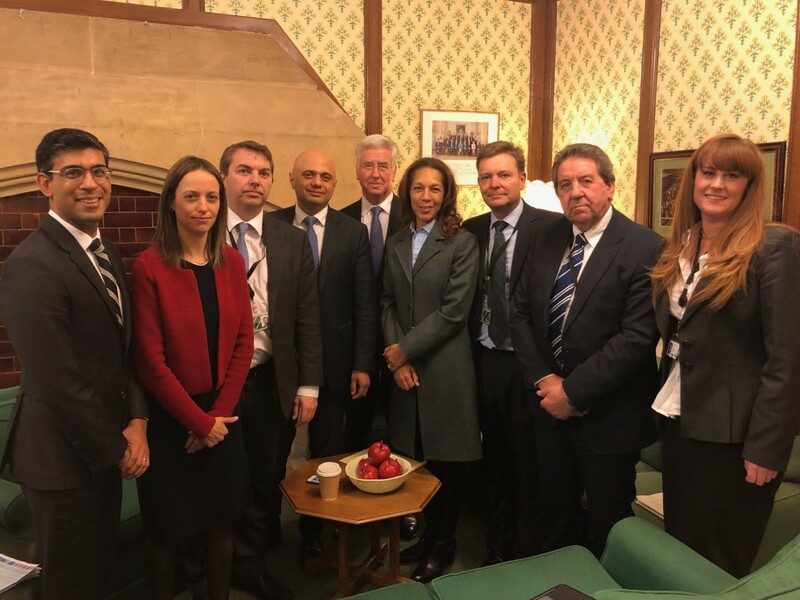 The announcement comes after Michael and other Kent MPs pressed the Communities Secretary to release additional funding in the forthcoming Local Government Finance Settlement and follows his visit to Sevenoaks yesterday morning. In recognition of the growing need for Social Care, the Government is providing an extra £166 million Social Care Grant to Local Authorities across England for 2018/19. Kent will get an additional £3.9 million next year. Additionally, Kent County Council will benefit from being one of just 12 authorities piloting the retention of Business Rates, which is expected to generate around £25 million next year. The Sevenoaks MP has also applied pressure on the Home Office to step up its support. In a letter sent last week, Sir Michael said: “Kent continues to support more young asylum seekers than any authority in the country. Michael has pressed the Home Secretary Amber Rudd for an additional £8.6 million.